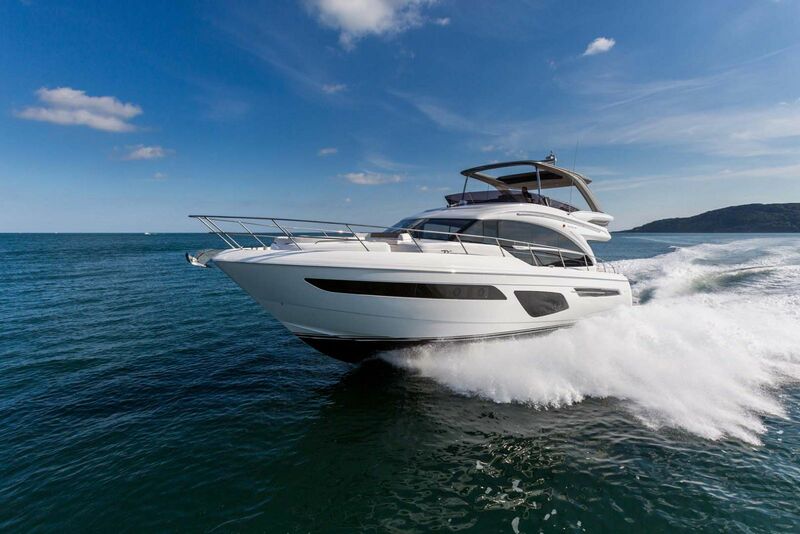 The new Princess Yachts F45 Flybridge is exceptionally well-proportioned for a boat under 50' with an excellent use of space, seating, and socializing areas. The flybridge on the F45 has two side helm seats that allow the driver amazing visibility why he or she handles the twin Volvo IPS 600 engines who's combined 870hp propels you up to 31 knots. Guests riding on the flybridge can sit adjacent to the helm with a U-shaped lounge or aft on the bridge in a larger u-shaped seating area with a teak dining table. This is a wonderful area to have dinner at sunset. A very unique aspect of the Princess F45 is her electrically sliding transom seating arrangement that, with a touch of a button, extends the size of the cockpit area to deliver a main deck space that is not seen anywhere else in the market on a 45' yacht. The full-beam owners cabin is spacious and luxurious. It is complimented by a large forward cabin that includes an en suite head as well. 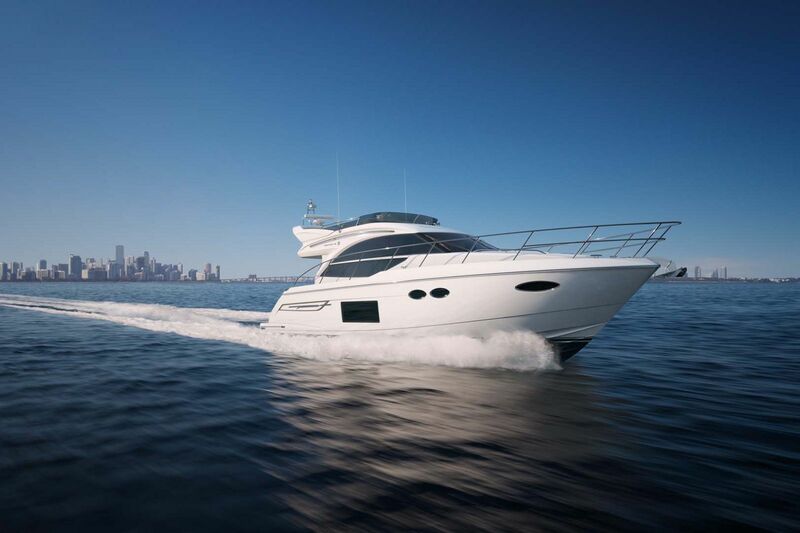 Breathatkingly beautiful, if you are in the market for a 40-50' yacht with a flybridge and comfortable accommodations then the new Princess F45 Flybridge Yacht should be at the top of your list.